Vent-Axia offer a range of portable heaters for use when occasional heating is needed. 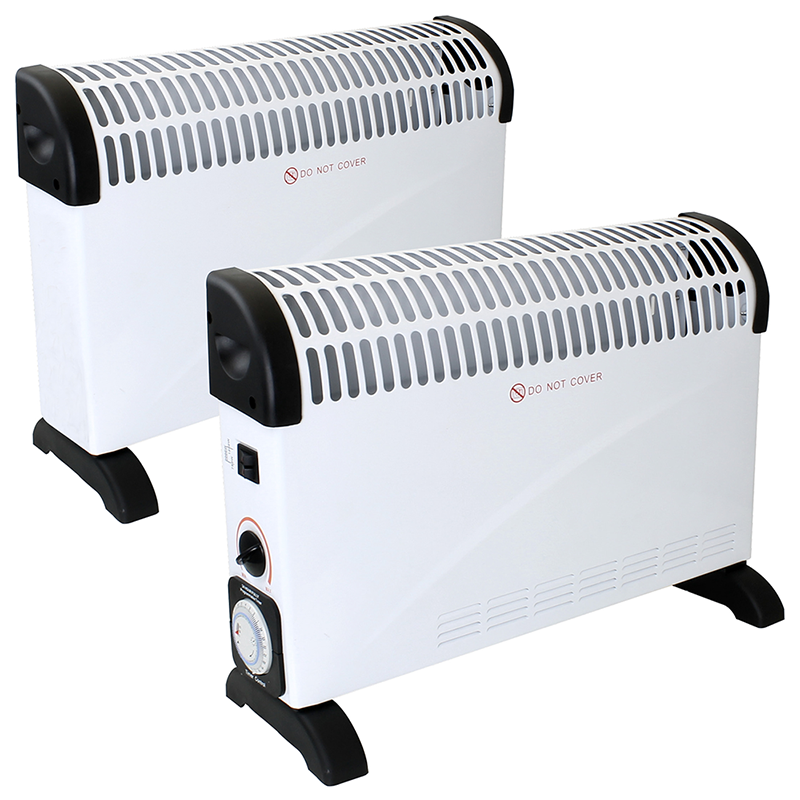 The Vent-Axia Portable Heater range consists of Convector Heater and Convector Heater with Timer. These products are ideal for use in any domestic or commercial room where extra or occasional heating is required. The products are suitable for use in the home, offices, shops and workshops, but is not recommended for use in bathrooms. The unit offers three heat outputs; 0.75kW, 1.25kW and 2kW, and is supplied with a thermostatic control. The products are lightweight, portable and is supplied with a cable and plug. Stylish and versatile, the heaters can be installed as a floor standing unit using the feet included. This gives the benefit of moving the heaters to an area where you want, when you want. For maximum safety the heaters includes a thermal cut-out feature to prevent overheating. To view our complete heating range click here. The Vent-Axia Convector Heater is ideal for use in any domestic or commercial room where extra or occasional heating is required. The heater is suitable for use in the home, offices, shops and workshops, but is not recommended for use in bathrooms. The unit offers three heat outputs; 0.75kW, 1.25kW and 2kW, and is supplied with a thermostatic control. The Vent-Axia Convector Heater is lightweight, portable and is supplied with a cable and plug. Stylish and versatile, the heater can be installed as a floor standing unit using the feet included. This gives the benefit of moving the heater to an area where you want, when you want. For maximum safety the heater includes a thermal cut-out feature to prevent overheating. The 24 Hour timer control offers On or Off setting selection in 15 minute time segments Set the pins on the easy to use tiemr dial and the heater will operate automatically during the selected times. The Vent-Axia Convector Heater is ideal for use in any domestic or commercial room where extra or occasional heating is required. The heater is suitable for use in the home, offices, shops and workshops, but is not recommended for use in bathrooms. The unit offers three heat outputs; 0.75kW, 1.25kW and 2kW, and is supplied with a thermostatic control. The Vent-Axia Convector Heater is lightweight, portable and is supplied with a cable and plug. Stylish and versatile, the heater may be installed as a floor standing unit using the feet included. This gives the benefit of moving the heater to an area where you want, when you want. For maximum safety the heater includes a thermal cut-out feature to prevent overheating.